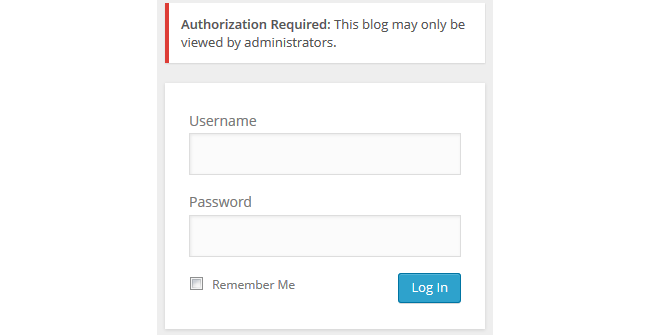 Four private blog options – restricts who can view your blog content. RSS is automatically disabled on all private blogs to ensure your content is restricted to only people who should be able to read it. You change privacy in Settings > Reading on class blogs and personal educator blogs. You control the privacy on student blogs using My Class > Settings if you are using My Class. For comprehensive information on changing privacy on student blogs, refer to our student blog privacy support page. 2. Select your preferred privacy option under site visibility. This allows any one to read the content of your blog and for your blog to be indexed by search engines such as Google. This is the default setting for all newly created blogs. This allows any one who knows your blog URL to read your blog content while blocking web crawlers so that your blog is not indexed by search engines such as Google. There are four different private blog options. 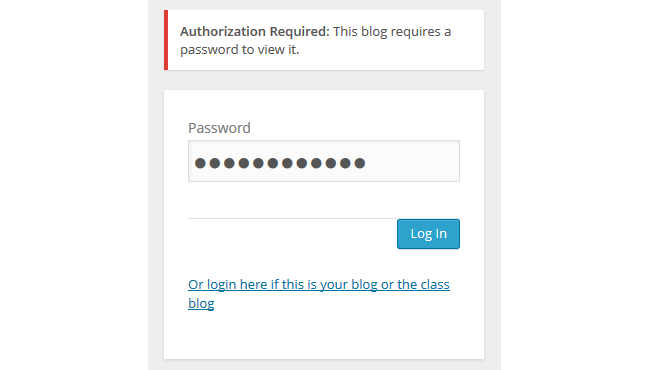 We recommend you use “I would like anyone who provides the following password have access to all blogs” if you want to make your blog private but make it easy for students, parents and other teachers to view your blog. 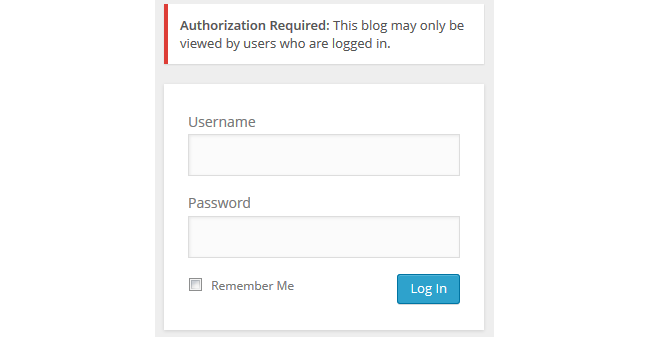 This privacy option is used if you want to restrict who can read your blog content to only people who know the password. This is the best privacy option to use on a private blog if you want parents, students and other teachers to easily be able to view your blog without having to log into an account. 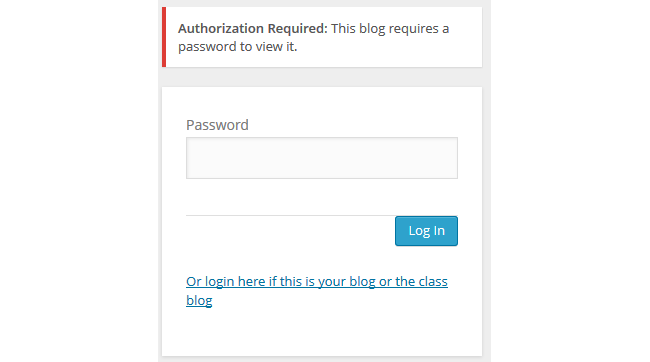 This allows any one who is logged into their Edublogs.org account, if your blog is on Edublogs, to view your posts or any one who is logged into an account on your CampusPress network, if you are using a CampusPress blog, to view your blog content. You would normally only use this on a CampusPress site where you are restricting viewing of all blogs to any one who is logged into their CampusPress account. You use this privacy option if you only want people who have been added as admin users to your blog to be able to view your blog content. This privacy option is most commonly used if you want to restrict your blog to specific people or are setting up your blog and want to hide it from others until you are ready to make it a public blog. 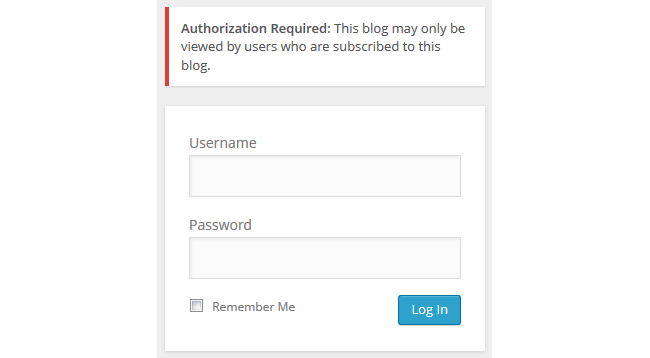 People visiting your blog will see the following notification if they aren’t logged into their account or aren’t a user on your blog.